You will be chilled… This on-the-spot vision of the unfolding of the Holocaust was written as it happened by a man who saw the Nazis rise. Yesterday, everything was normal. Today, they’ve taken your parents. Even your school isn’t safe. Who can you trust? As the Holocaust turns from a brutal plan into a living nightmare, two boys in Vienna – one German, one Jewish – find themselves trapped in a real-life hell. 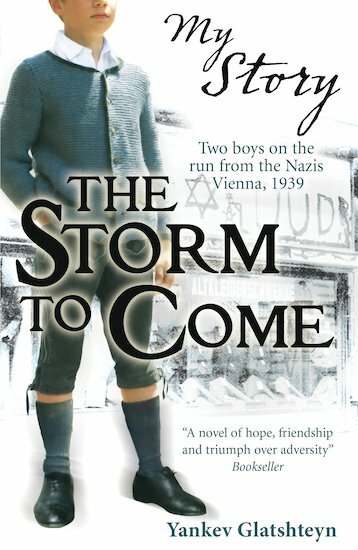 First published in 1940, at the very beginning of the Second World War, this extraordinary book chillingly predicts the terror of the storm to come. Yankev Glatshteyn was a Polish Jew who emigrated to America before the outbreak of the Second World War. He wrote EMIL AND KARL after a visit to Poland in 1934, and it was first published in Yiddish in New York in 1940. The book has not been translated into English until now.